Arrow Games/Bazaar &amp; Novelty - Helping you accomplish great things! Arrow Games/Bazaar & Novelty is a member of the Arrow International Inc. group of companies, celebrating 45 years of industry leadership in North America and Europe. Arrow Games/Bazaar & Novelty is headquartered in Niagara Falls, Ontario. Arrow Games/Bazaar & Novelty is Canada’s largest full-line supplier of bingo paper, pull tabs and related gaming products. With decades of industry experience and an extensive distribution network across Canada, Arrow Games/Bazaar & Novelty provides the highest quality gaming products and the most reliable service in the industry. This professional support enables the social and charitable gaming organizations we work with to focus on fun, competition and profitability. 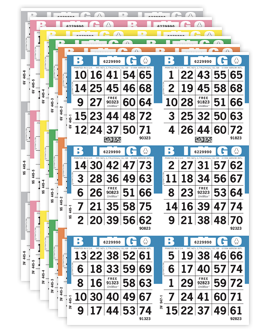 Our extensive product line consists of a full array of bingo paper, pull tab tickets, award winning bingo ink markers, electronic bingo equipment and various bingo accessories. We continue to expand our product lines on a daily basis to provide the largest selection of creative and custom gaming solutions that excite players and keep them coming back for more. The laws that determine the legality of this product change constantly. It is the responsibility of the buyer to determine which products are legal in any given area.